Product #21463 | SKU 13000177 | 0.0 (no ratings yet) Thanks for your rating! 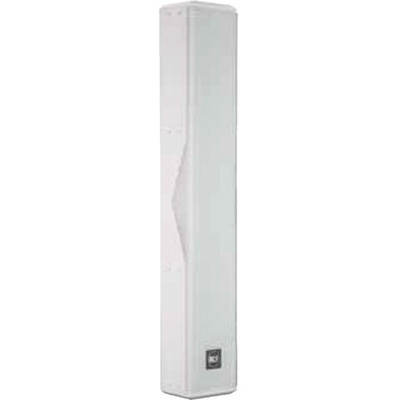 The white L 2406 3-Way Column Array from RCF is a passive 3-way column speaker that features six 5" woofers and four 1" dome tweeters arranged to produce wide sound dispersion. It is designed for use in permanent installations such as houses of worship, auditoriums, transportation halls, or anywhere speech and music reinforcement are required. The array can be optimized for either voice or music performance via the VOICE/MUSIC selector, which alters its frequency response. It can be powered by either a 100V (/70V) constant voltage line or via low-impedance output.